← Nether Edge Road …..2 years on…..and is that Nigel Slater ? A great exhibition today in Sheffield Botanical Gardens Pavilion, to mark the Global Centenary Year of International Women’s Day (8 March). Truly inspirational work by Sheffield women artists, many of whom battle with adversity. Here is my art colleague Pat, displaying a huge range of paintings, cards and unique handmade bags…..and holding a splendid banana ! Many thanks to Annie for organizing the event – hopefully more events like this coming soon to add extra “zing” to weekends in the Glass-Houses……………. 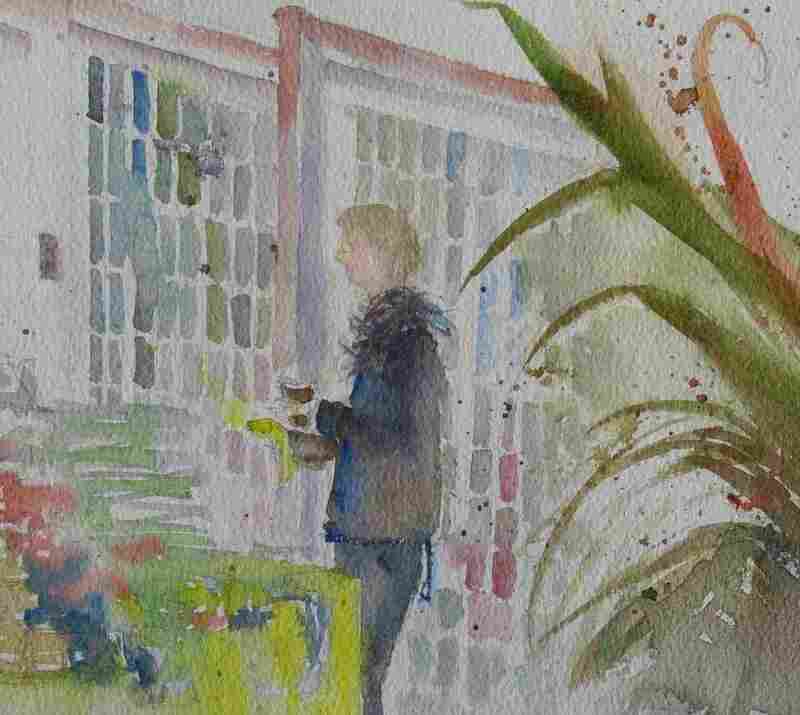 This entry was posted in Sheffield - watercolours and tagged Botanical Gardens, glasshouses, Global Centenary Year, handmade bags, International Womens Day, Sheffield. Bookmark the permalink.